My name is Nadine Ghows. I am a certified HypnoBirthing® Childbirth Educator with The HypnoBirthing® Institute since 2011 and an Amani Childbirth Educator since 2013. I am also a certified Birth Doula with Amani Birth. I have been actively involved in the natural birthing community in Kuala Lumpur since 2009. After working for 6 years in KL in the finance and marketing line, I moved to Australia where I became pregnant with my first daughter. It was there that my love for all things birth and parenting began. 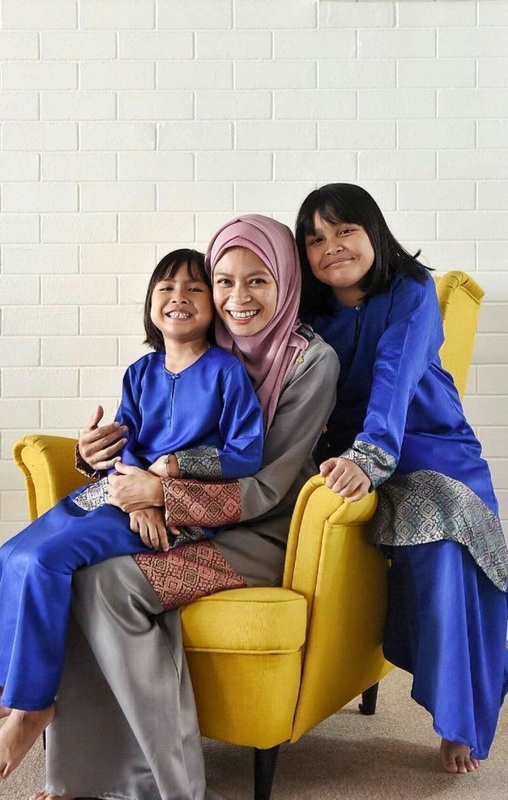 When I moved back to Malaysia, I was saddened to discover the very medicalized nature of birth in KL, and how women didn't even realize that they have a choice in their own births. I decided then, that I wanted to help other women become aware of their choices and experience gentler, more satisfying births. I went on to form The Gentle Birthing Group Malaysia - a support network for families wishing to have a natural birth -with a few like-minded mothers. The Gentle Birthing Group has an active social medica presence and provides support to mothers all over Malaysia. The Gentle Birthing Group has been instrumental in introducing waterbirth option in a KL-based private hospital and is constantly initiating dialogue with medical professionals to bridge the gap between maternal healthcare providers and expectant families. Breastfeeding is my other passion. I am a DBL Educator and also a Malaysian Breastfeeding Peer Counsellor. I initiated the Malaysian Chapter of Human Milk 4 Human Babies - an online milk sharing network. I also recently certified as a HypnoBirthing® Fertility Educator. I am a single mom to two beautiful daughters. My first daughter's birth was an all-natural hospital birth, where the doctor didn't arrive in time and baby was caught by a tenderly midwife. My second daughter made her speedy entrance into the world at home, lovingly into her father's hands. Read about their births here.